China said it was willing to play a constructive role in easing relations between Pakistan and India as Beijing welcomed the “positive” remarks of Prime Minister Imran Khan and his Indian counterpart Narendra Modi on improving bilateral ties. 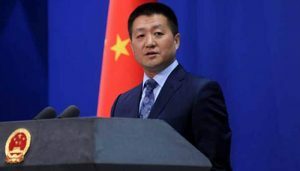 “We have noted relevant reports and we welcome the positive remarks made by the Indian and Pakistani leaders on improving bilateral relations,” Chinese Foreign Ministry spokesman Lu Kang said said while replying to a question on the statements made by the two leaders soon after Imran Khan’s inauguration as Prime Minister. “Both Pakistan and India are important countries in South Asia…China firmly supports the two sides to enhance dialogue to increase mutual trust, properly handle (disputes) and solve their differences,” Mr Lu said. China hopes the two countries can jointly stay committed to regional peace and development, he said. “China is willing to play a constructive role in this aspect,” he added. 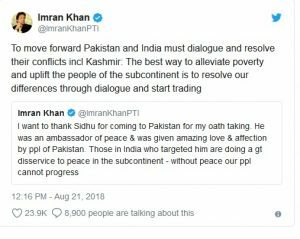 On August 20, Indian Prime Minister Modi sent a letter to Imran Khan, conveying that New Delhi was looking for constructive and meaningful engagement with Islamabad.